With over 15,000 restaurants in Chicago, it’s no wonder that it’s often dubbed as the #1 restaurant city in the United States. 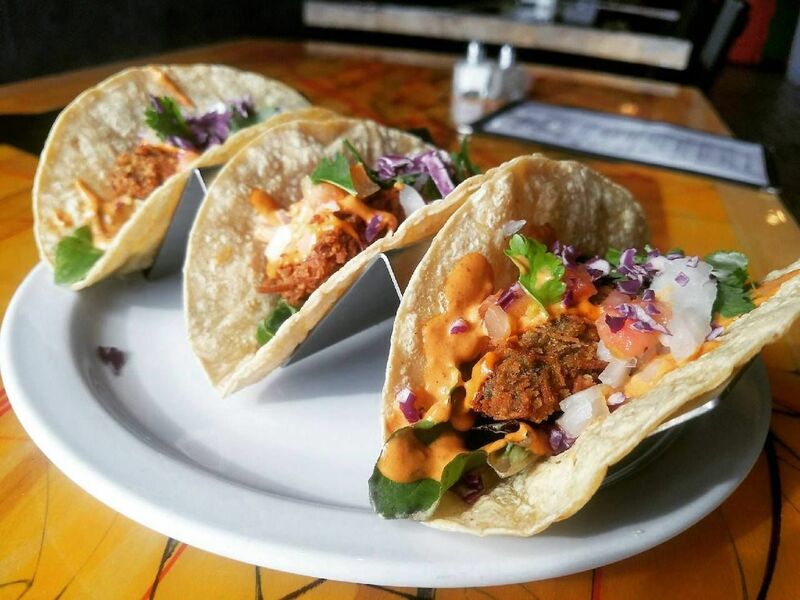 In the last two decades, Chicago’s diverse communities have added to its culinary scene, driving Chicago to the top of the list of US foodie hotspots. What’s even more exciting is that over a hundred of these restaurants offer brunch. With a changing urban lifestyle, eating out for brunch has become a cornerstone of weekend culture. 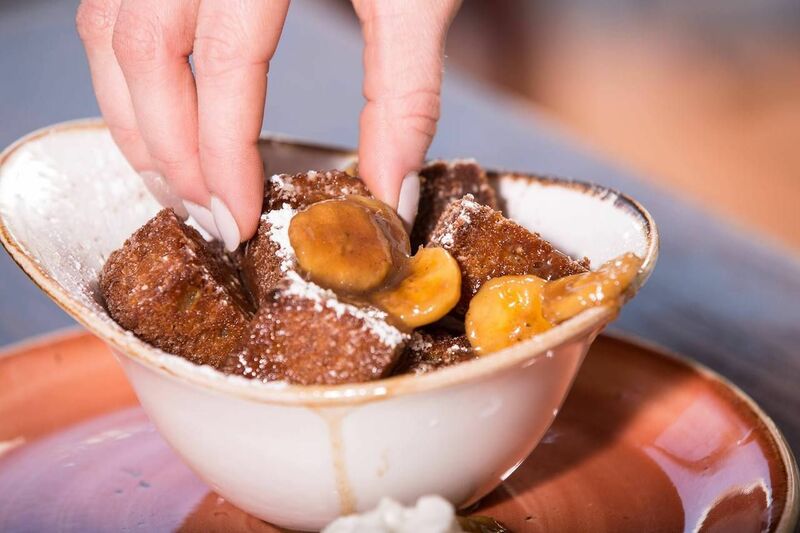 Regardless of what your taste buds fancy, here’s our selection of the top six trending brunch spots in Chicago. Brunch (yes, that’s the actual name of it) is located in Near North Side and is well-known for its epic breakfast nachos. You can reserve a table online from bed and enjoy a hassle-free experience. 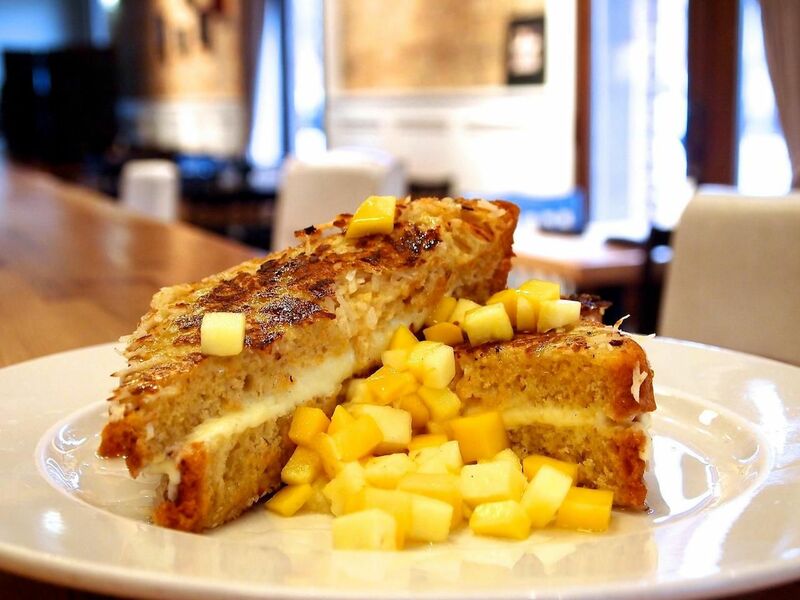 If you feel like having something sweet, order their Flintstone French Toast which comes with fruity pebbles, frosting, and fresh maple syrup, or opt for savory with their croissant-egg sandwich with maple mayo. Just don’t leave without trying one of their rich cinnamon rolls. Estrella Negra is a new-wave Mexican restaurant that has a handful of experimental gourmet street food-inspired items on their brunch menu, and a welcoming interior with colorful paintings that set the good weekend vibes. Order La Jaras goat cheese chilaquiles which come with Mexican crispy corn tortilla strips topped with two over-easy eggs, green salsa, guacamole, sour cream, and goat cheese. Don’t pass on their chocolate chip tamale topped with organic agave nectar, or their strawberry-coconut tequila cocktail. You’ll need to get here early to snag a table at this organic local favorite in Bridgeport. The owner, Omar, has worked hard to bring healthy, organic produce into Chicago’s South Side. The menu is seasonal and changes quarterly. We recommend ordering the homemade English muffins, avocado fries, and the signature Nanadict. This Latin-American fusion restaurant is one of the rare places where you can try homemade turkey chorizo. 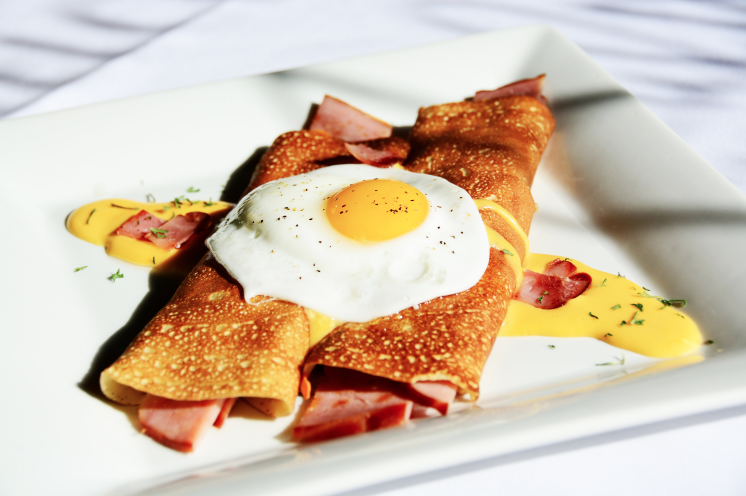 Brunch specials vary every week, so you can be sure to find something new and exciting. But a standby favorite is the Garbage Omelet, a blend of bell pepper, onions, jalapeños, mushrooms, pork sausage, bacon, and cheese. If you want to go a little upmarket, order the house lobster benedict which is served on an English muffin, with two poached eggs and house chipotle hollandaise sauce. Another must-try is their delicious tortilla soup and their warm beignets for dessert. 90 Miles Cuban Cafe is a Taste of Chicago winner and has three locations in the city. 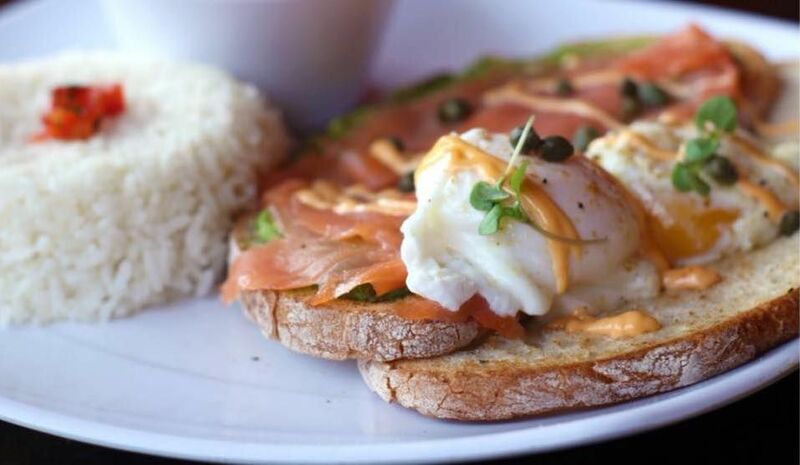 Brunches are served every day from 10:00 AM to 2:00 PM, so there’s no need to fight the Sunday crowds. Their food, music, and decor combine to generate an atmosphere that will transport you from windy Chicago to sunny Cuba. Empanadas are made from scratch every morning and their avocado toast with sriracha aioli, white rice, black beans, and maduros can’t be beat. Wicker Park’s Hash is cheap but packs a punch. Their corned beef hash with deep fried bacon is worth getting out of bed for. Its self-serve, no fuss, cozy atmosphere makes it a popular weekend hangout, so you may have to wait a little bit for a spot. 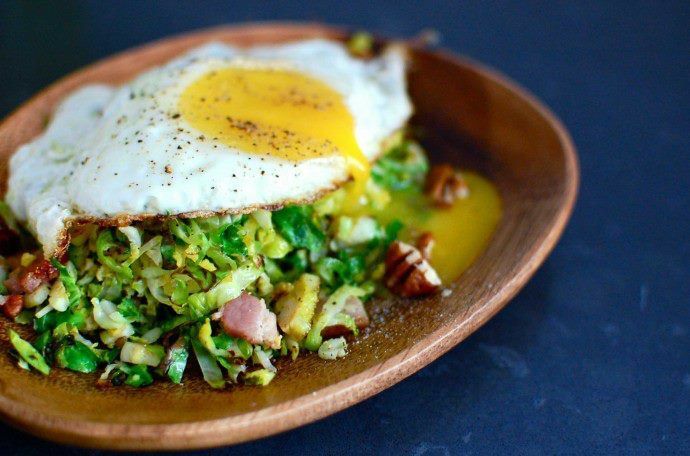 The menu changes seasonally so don’t get too attached to a serving of brussel sprout hash. It’s also a perfect spot for people watching and their hash creations will undoubtedly end up on your Instagram account.